(and it's not the Hindu God Ganesha).Naveen is finally bringing someone home to meet his parents. It's just not who his parents expect. "Rasaka is proud to be a part of the Resident Theater Program and of Victory Gardens' diverse and inspiring artistic community," Rasaka's Producing Artistic Director Kamal Hans said. "We are excited about producing A Nice Indian Boy, an emotional piece that tackles the tough matters of gender, identity, love and marriage, with a humor and honesty that audiences will appreciate." ​"A Nice Indian Boy is a romantic comedy with familiar tropes -- that are anything but familiar when immigrant assimilation collides with the adoption of a foreign heritage," Director Anna Bahow said. 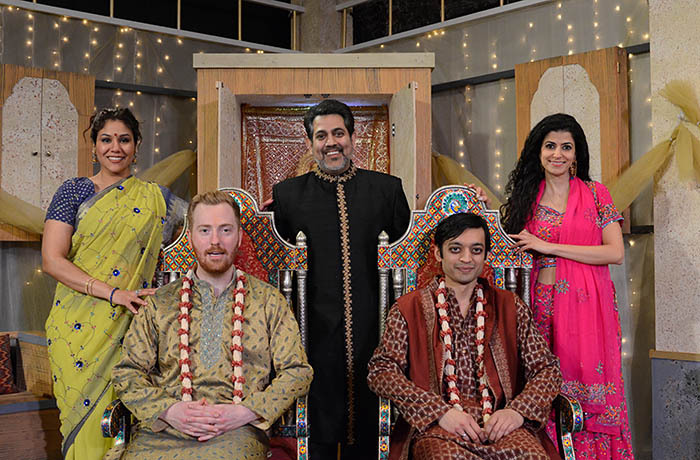 "The play challenges our traditional concepts of ethnicity and marriage. Shekar has such respect for her characters and the humor is generous to all."